The project, which is located in Western Australia, has a measured, indicated and inferred resource of 458,900 tonnes of vanadium pentoxide. 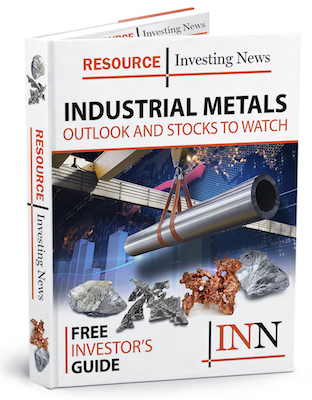 Australian diversified explorer Venus Metals (ASX:VMC) will now move ahead with metallurgical testing and a scoping study at its Youanmi project after a recent estimate confirmed the site’s vanadium resource. The project, which is located in Western Australia, has a measured, indicated and inferred resource of 458,900 tonnes of vanadium pentoxide (V205). The price of V205 has steadily increased over the last 12 months, save for a minor dip late last year, and is currently AU$24 per pound. “We are very pleased with this result that fully justifies our decision to proceed with a comprehensive drill-out of our vanadium project at Youanmi,” Matthew Hogan, managing director of Venus Metals, said in a press release. Venus has proposed the vanadium extraction process for Youanmi be based on a simple hydrometallurgical process, taking advantage of the unique weathered vanadium oxide ore.
Demand for vanadium in the construction and energy storage sectors has ballooned in recent years, as stringent guidelines on the strength of steel are implemented around the globe and more nations look for green energy technologies to integrate into their existing and developing energy grids. In 2018, the price of vanadium climbed from US$62 per kilogram in January, to US$120 in November, reaching a 13-year high. The price has slid slightly in 2019, but is expected to grow as more energy storage projects and companies emerge in the space. Shares of Venus were down 3.57 percent on Monday (March 18), trading at AU$0.13. On Tuesday (March 19), the company announced a trading halt pending the release of an announcement.